Profoto has a very strong reputation in the industry for making gear that are reliable, easy to use, powerful, and, well … looks really good. When Profoto entered the market a few years ago with the portable Profoto B1 flash (affiliate), and then the Profoto B2 flash (affiliate), it was inevitable then that at some point they would make a grand entrance with a speedlight style flash. With this review of the Profoto A1 flash (affiliate), I wanted to show more how I would use it, than just cover the specs of the flash. I met up with Anastasiya to record this review video, but it ended up being partly a tutorial video as well. In the studio we go over how I would use this in a simple way as an on-camera bounce flash – and used properly, the results can be surprisingly good. We then went out on location and used the Profoto A1 as a trigger for the B1 unit, as well as using the Profoto A1 as a single off-camera flash. The results look really good – as they should when you use flash with careful consideration. That’s to be expected. What you can also expect with the Profoto A1 is an elegant lighting device. The designers really put a lot of thought into this flash. The A1 has a neat system with how you can magnetically attach modifiers and gels. No need to strap things down – everything just smoothly clips into position. There is also a clip-on white bounce card, and if you reverse the white bounce card to have the black side in front, you have a flag. For those of you who regularly follow the Tangents blog, you will immediately recognize how to use this flag on the flash – just like you would the Black Foamie Thing. The Profoto A1 just looks a lot more elegant. 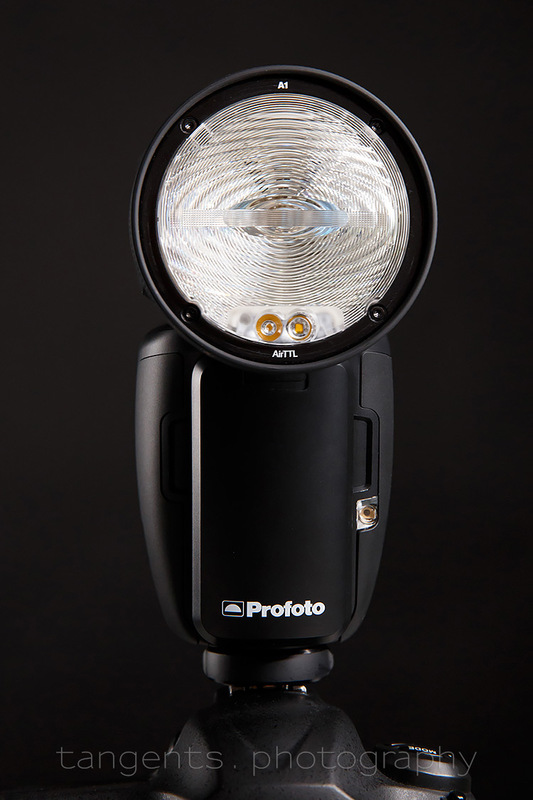 The modeling light on the Profoto A1 changes zoom angle as you zoom the flash head! So you can immediately see how much of your scene will be covered by how you zoom the flash head. Again, an elegant implementation. The way that Profoto implements TTL and Manual flash by interlocking it, is beautiful. You can do a test shot in TTL, and if the exposure looks good, you just lock it as a manual exposure. This is a handy time-saver on a stressful shoot. No need for AA batteries. The Profoto A1 has a proprietary battery that clips onto the front of the flash. I have used the Profoto A1 on several weddings now, and what also impressed me is how fast the flash recycles, even when fired at full power. The battery really keeps up. The spec sheet has the recycling time as 0.05 to 1.2 Sec. That 1.2 seconds recycle time is really fast for a full dump. The power rating for the flash is given as 76 Ws, instead of the usual Guide Number rating given for speedlights. In testing the flash in the studio, I’d say the Profoto A1 flash is about 1/2 stop brighter than the equivalent Nikon or Canon speedlights. Not a massive difference, but it does mean the A1 delivers a respectable output for a flash of this kind. Profoto hasn’t mentioned yet which range the flash’s radio signal has, but in the video you can see that I specifically shot with a 300mm lens to get full-length photos of Anastasiya – this gave me a really long working distance, and there were no misfires! 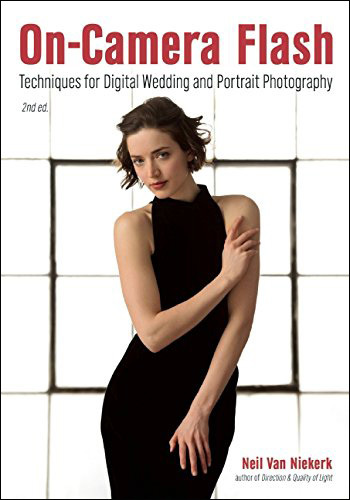 Of course, Sport photographers would work over longer distances, but for my needs (weddings & portraits), the Profoto offers more than I need in terms of signal range. With this photo (as shown in the video), we had the black flag on the Profoto A1 to control how the light from the flash spilled. Working close enough to a surface we can bounce the flash off … and with careful posing, we can get short lighting! This looks like studio quality lighting from an on-camera flash. With this sequence of photos shot out on location (as shown in the video), I used the Profoto A1 initially as a trigger to fire the Profoto B1 flash. Then I reverted to using the Profoto A1 flash as the off-camera flash, triggered by a Profoto Air-TTL trigger. This makes the Profoto A1 more versatile than just being a speedlight. It doubles as a trigger for your other Profoto lights! The lens that I used in this section is the remarkable Nikon 300mm f/4E VR (B&H / Amazon). 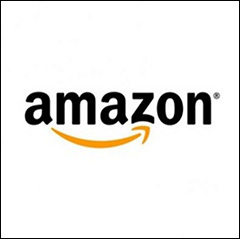 It is compact – less than 6″ long, and is light-weight. Combine this with the lens’ stabilization, and you have a long focal length lens that is very hand-holdable … and razor sharp! During this part of the photo session, I used the Sigma 50mm f/1.4 DG (affiliate) at f/1.4 for that specific shallow depth-of-field wide open. This then pushed the shutter speed up to 1/640 which is well into HSS territory. Because I worked with the flash fairly close to Anastasiya, I could get away with using this flash outside, while bounced into a small umbrella. If I had worked in stronger light conditions, I would’ve used bare off-camera flash. It is clear that I am impressed with the Profoto A1. It does come with a high price though – about double the equivalent speedlights from the camera makers. However, it fits so seamlessly into the Profoto ecosystem, that I do think there will be a strong demand for this well-designed unit. Wow…great video and tutorial! Thanks again Neil. Still waiting for a solution to more power from an on-camera flash (without additional attachement) that I can also use off camera. The A1 being only a touch more powerful than a normal Speedlight is dissapointing. I don’t think the Godox AD200 can be beat for a small and self contained powerful flash for a fraction of the price. just your cant use it for bounce flash on camera. Yet – the A1 looks elegant and I love the big clear screen. Thanks for a great review Neil. Looks like a great flash and would love one , however I notice that there is no mention of weather sealing on the information so far released by Profoto. Can you confirm if there is indeed sealing ? Also, I think the price point may be off putting for some. That’s a brilliant tutorial. Simple, informative and effective. Thank you. $1k? Wow! I knew that it would be expensive but that is a bit high. Thank you for the informative review. Its a nice solution, I would have jumped at it last year but with Godox AD200 and the v860 flashes being so light, good and cheap its hard to justify another 1000 dollars for this flash. Maybe if it was quite a bit cheaper it would seem like a good purchase. Where you triggering a B1X or the original B1 with the A1? Thank you! Flashpoint has a similar system (basically Godox) which I’m in love with, but the ease of use with switches and simple menus, and built-in magnets make me super jealous. Here’s hoping Flashpoint takes a lesson from Profoto! 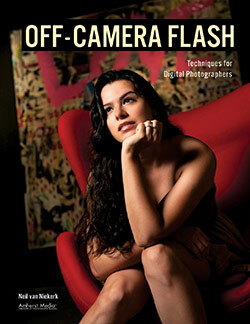 Have you experimented with Flash Value Lock on Nikon cameras? It calculates an initial flash value based on TTL and locks it. You can adjust it after the lock with Exposure Compensation. I believe this matches the behavior you describe above for the Profoto. The big difference is that Nikon’s system really *is* a lock. With the Profoto system, it’s just a transfer of the last-used TTL power to a manual setting, which can be further tweaked or fine-tuned as required. There’s not a whole lot of difference with a single flash, of course, but it’s huge with multiple flashes, since the FVL means you have to roll all of the dice again if you want to change the level of one group, whereas the Profoto TTL/Manual switch means you get to keep what’s good (very likely the key light, unless you work… differently) and change what’s off a bit. And it doesn’t depend on a button press on the camera; once the flashes are manual, they’ll stay at their settings. I’m surprised, really, that this TTL-to-manual behaviour hasn’t shown up everywhere since it hit the ground a couple of years back. It makes ballparking and refining extremely fast. Thank you for great informative reveiw. Thanks Neil for the great video! Thanks for the video and review Neil. I’ve been watching reviews for a little over an hour today and this one was perfect to round off the set of vids I’ve seen today. I’m highly considering purchasing one to add to my Profoto light set. Thanks for sharing Neil! Great review and tutorial. Thanks for sharing! Excellent review! 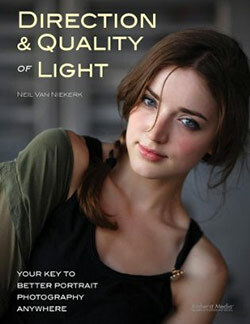 Sounds like a must-have speedlight. Guess I’ll have to start saving now. Neil, I really like the videos – subtle things that come across in video which often don’t come across in text. Wonderful that all the gear (strobes and speedlights) work together without any further triggers etc. Great review of the new flash. I would like to see how it performs on camera in a typical event setting. Corporate party, wedding reception, etc. Bounce and no bounce settings, direct and with the included diffusers. My SB800’s are getting old. Wondering if I could use these reliably as my main on-camera flashes in addition to an occasional off-camera use. Greg … I have photographed several weddings with the Profoto A1 flash so far, and there are no misfires. No hiccups. The photos look like well-exposed photos, lit the same way I always do. One thing I did notice, the Profoto A1 flash exposure is more heavily influenced by back-lighting than I am used to with the Nikon speedlights. So I had to bump up the FEC there. The game changer for me is the ability to shoot roughly 350 shots at full power with the Li-ion battery and the ability to replace it with another fully charged battery with ease. This eliminates the need for the Nikon SD-9 battery pack, not to mention the additional cost of the battery pack. And, of course the recycle time is nice. Neil, when using the A1 photographing the weddings you mentioned, was one battery sufficient or did you need a backup? How about the flash overheating? Did you happen to find a loss of power when shooting, lets say 5 shots one right after another allowing full recycle between shots? Thanks for comparing the specified 76Ws with other speedlight power output, this information is impossible to find otherwise. I do not understand why Profoto tries to market the A1 speedlight as a studio strobe, I think it makes sense that you compare it with other speedlights. I don’t see anything about this flash that makes it worth $1000. You mentioned that the Profoto A1 provides about a half-stop more power than Nikon or Canon’s speedlights. Is that enough juice to overpower the sun in your past photos, or would you still go with the B1 or B2 for that kind of shot? I have 3 Nikon SB-900s and am looking for an eventual replacement to them, especially for built-in wireless TTL. I’ve previously seen your B1 at the studio and asked about your B2. As awesome as they are, they are just a tad too big for my use cases. Stephen … with the SB-900 / 910, you have to be 10 ft away from your subject at full power to match the sun. With the Profoto A1, you’d then be a half-a-shuffle further away – slightly more working distance, but nothing dramatically different. To be able to use a softbox with a flash in broad daylight, you need something with the power of the B1. Thanks for the information, especially about the softbox usage. I will have to think on these factors in determining a future purchase. The A1 battery lasts me about half a wedding. Which means I would need 3 batteries to be safe … and then still take the charger with me. Over the past weekend, I photographed a Bar Mitzvah, and there are sections of the party (such as the hora), which require rapid firing of the flash. No over-heating! My Nikon speedlights would’ve been hot, but the Profoto A1 remained as cool as it was. Neil, thanks for the quick response. I suspected your answers would be the case. Neil, Profoto doesn’t mention anything about thermal protection. I’ve read somewhere that they use ceramics. Can you mash on the A1 at full power in rapid succession and never over heat? If so, why aren’t they promoting this? That would be huge for a lot of people and make the $1000 price worth it for them. I have no idea why they aren’t highlighting this aspect of the A1. For me it is important, because with some events (like the Bar Mitzvah I mentioned), you can’t stop shooting because your flash is getting hot. So this is an essential feature for event photographers. I tested it by firing flashes are full power after 125 or so the recycle time drops to 2s and then after 150th flash full power it goes to 5s and it reached to 7s after 200. I emailed an checked with Profoto they said its expected to protect from over heating but in real life scenarios this is a rarity to keep firing on full power continuously. Yes I think they should talk about it. Having said that, I totally love my A1s and if my budget permits i will get another one. Hi Neil, great review and I like the new elegant BFT ;-) How do you dial in the FEC at the A1? You can dial in the FEC via the dial on the back of the flash, or via the FEC controls on your camera body. I just double-checked – the AF assist works on my D810 with the Profoto A1. You did say you used all the AF modes, but just to confirm … the AF assist doesn’t work in AF-C mode; it only works with AF-S mode. Hi Neil, thank you very much for your reply! I did indeed forget the AF-S mode and it works like you say. Unfortunately I am usually using the AF-C mode most of the time, shouldn’t it work there also? For example I am photographing an event next week, it will be dimly lit and the subjects are moving around. The D810 is anyhow not the best camera to lock focus in darker environments, so it would be great if the AF assist of the A1 would also work using also the continuous mode. I’ll ask Profoto if it is possible to implement it in a possible future firmware upgrade. Well thanks again and have a nice weekend!! Nope, the AF assist doesn’t work in AF-C / Servo, for every camera maker. 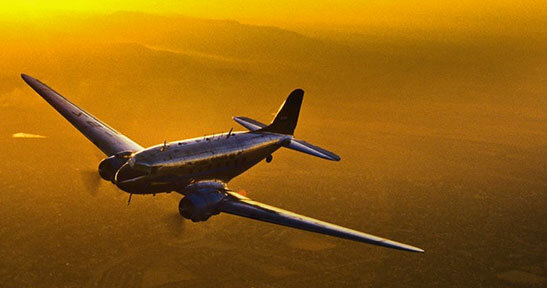 Get used to shooting in AF-S and use the group AF configuration – you will see more sharp images. Hi Neil….since I moved all my gear over to Sony, was there any indication of availability other than Canon & Nikon…. ? Great video…. No word on that yet, but it is inevitable that they will release a Sony mount A1. Wow. With 4 Canon 600EX-RTs in my bag I’m not going to switch any time soon. . .unless . . .hmmm. . .if I sell them I could buy two A1s, couldn’t I? Great review, Neil; answered every question I could have come up with. Thanks. I haven’t tried the Soft Bounce at an angle like that – but yeah, that would be a problem, especially because the Profoto A1’s head doesn’t lock into any position. It’s that compromise of being able to easily move the head … versus this. I’d go with their suggestion to rotate the head around. Do you have any experience using the A1 on camera using auto ISO on your Nikon bodies. When using nikon flashes on camera as fill the ISO will vary when using auto ISO as you know. I’ve seen a single report that this does not occur with the A1. Do you know if this is the case? Obviously one can set the ISO manually but in rapidly changing lighting environments it’s convenient to let the auto ISO do its thing. Thanks. Robert … I don’t use auto-ISO, so never noticed this aspect of the Profoto A1 – that it disables auto-ISO. I just double-checked after what you wrote, and sure, the ISO doesn’t change when the A1 is mounted on the camera, unlike for my SB-5000 speedlight. I have no idea why it would behave this way. Also, check the comment below this one. Same experience. I’m a UK based wedding photography and first time user of Protofo products when I recently purchased four A1’s. I’ve a few observations that I’d like to share with you…. – I don’t think I was fully aware when I purchased that the A1 doesn’t function the same as speedlights. So no full power, half power, quarter power etc so I need to adapt my thinking to the Profoto power range of 2 to 10 with 10 being full power, 9 being half power etc. So I really need to get used to this (I’m sure I will). – When using an A1 on camera to act as a trigger to other A1’s the on camera display illustrates the power adjustment to the off camera A1’s and not the actual power level itself which I would prefer. – When using ‘back button’ focus on my D850 and D750 the AF assist when on the ‘auto’ setting on the A1 does not work (reading the comments above I’ve just twigged it’s because the AF is in continuous). I would also very much like to interact with other A1 users to share our experiences but although Profoto’s Facebook page (and Profoto USA) shows a ‘Community’ page I don’t appear to be able to join it. I hope my comments don’t come across as negative because generally speaking I am finding the A1 to be quality product and I’m hoping that the minor issues I’ve pointed out are largely addressed with future firmware updates. Mark, than you for your thoughtful response. – the way the Profoto flashes show the power output (from level 2 to 10, with level 9 being half power) … this is standard with Profoto, and I think with other studio lights as well? So if you are used to it, it is easy enough. – that is a valid observation – it would have been ideal if you could see the other flashes’ output levels too. That said, the Profoto Air remotes don’t show it either. – I don’t use auto ISO, and it isn’t a feature that would make a lot of sense to me with flash? What would be a typical scenario for you where you’d use it? Hi Neil, have you made any comparisons to the Quantum Trio? I’ve been a Trio user for years and feel that the light is powerful and super soft! Of course this may be a cause of the battery pack and round diffuser. Do you find these units comparable in the least or would my SB5000 be a better comparison to the A1? I had a few Quantum Q-flashes way back, but dropped them eventually in favor of the Profoto B1 flashes. So I am only slightly familiar with the Trio. It is more powerful than the usual speedlights. It makes sense though to work within a specific “ecosystem” of gear – and for me, that is Profoto. I like how the A1 and B1 units integrate. If you aren’t already using Profoto, then the SB-5000 speedlights make more sense – but keep in mind that for wireless flash, you’d still have to get the WR-R10 and WR-A10. I’ve already damaged one of these WR sets because it snagged against my trousers. It seems more like an after-thought than a properly integrated system. I’m currently using an SB-5000 on camera during bridal prep, Qantum during ceremony/reception and the Profoto B1 which I love to use for anything creative outside or lighting large indoor portraits. I think you said it perfectly tying to live inside 1 ecosystem….hopefully the A1 will be the missing piece of my flash puzzle and find me a single home/system! Great review as always Neil. As I understand it the A1 is not weather sealed. (unlike the Canon 600EX). At this high price I would have expected a weather sealed unit. Ok I finally gave in to all the marketing hype that Profoto is spewing out all over the net and I finally purchased a Profoto A1. 1/ The flash head is ‘wiggly’ and feels like it is not fixed on properly – probably due to the lack of a lock . 2/ The hot shoe mount is also a poor fit on all my cameras resulting in flash misfires. 4/ Certainly not weather sealed as per my previous post, which in rainy UK is a problem for wedding photographers . 5/ The TTL/Manual switch is quite loose and easily knocked and I found myself shooting in manual whilst thinking I was in TTL. I do not expect this sort of quality from a £900 ‘speed light’ . Have I just got a bad copy ? Has anyone else had similar problems.? Needless to say it will be returned to the store for a refund. Phil, these are all valid concerns and valid personal preferences. Thank you for adding this to the discussion. In this review of the A1 you’re using the A1 on what looks like a Profoto light stand (which I use). It appears as though you’re using an adapter that allows allows you to not only lock onto the stand but to also use an umbrella. 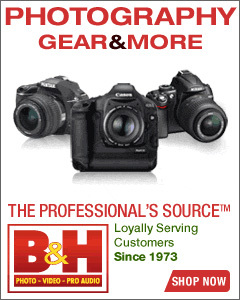 Can you direct me to where I might find those perhaps even on the B&H website? Just received one A1 w a second one arriving on Friday. LOVE these things. using the very handy Manfrotto Snap Tilthead (B&H / Amazon). I am a quantum user and profoto to. It works! And it is a good grid that the camera easily focuses on. Can you give me More infos about the thermal shutdown ? I don’t know when the Profoto A1 would go into thermal shutdown or how that would be triggered – but I can tell you that I have shot fast with this flash at (or near) full power, and it keeps up. No problems. I don’t have a Quantum Trio to compare with. I had the Quantum T5D way back, but eventually migrated to the profoto system for ease of use and the more powerful light. I hate my A1s returning them today. I initially tried them in Italy and there were syncing issues with the B2. Because they were just being released the rep thought the pre-production ones were buggy. Sadly have the same syncing issues. Could you tell us more about the syncing issues? Miss-timed flashes? Or not syncing at all? For me, owning the Profoto A1 is about making my life easier. I own 2 Profoto B1s, and 2 Nikon SB-910s. I persisted with this for many months believing that an A1 probably doesn’t offer a lot more than a 910. Every time I put the SB-910 on top of my camera or take it off camera, I had to play around with it to “get the hang of it again” because it is not very intuitive (I have owned the 910s for many years now and still feel this way). As Joe McNally mixes the sb-5000s with the Profoto B1s, I went to a local talk where a Nikon rep was showing off the SB5000s and the WT devices, and even he couldn’t get the system seamlessly working without going back and forth troubleshooting the little errors. This spoke volumes to me about what is and isn’t user friendly/intuitive. The Profoto A1 is beautiful and works beautifully. No flicking through instruction manuals. No buying Pocketwizard/other devices for on-top-of-camera changes in power settings, no digging through camera menu systems to change power settings. Can the A1 work in slave mode? Can I trigger it with a 600EX? The Profoto A1 doesn’t have an ability to be optically slaved – only via radio control. The Canon and Profoto radio controllers are entirely different and can’t trigger one another. Thank you for another very information video. On average how many shots per battery would you achieve at an evening wedding. At my first mini session with the A1 I took 103 shots after which the battery indicator showed 25% remaining [average power 5.0]. John, I haven’t done any testing to see how many (full power) flash pops I get per battery. The way I work, I rarely hit a flat battery since I change out batteries at key moments. For example, at a wedding, I would change the battery of the A1 before the reception, and again after the speeches before the party starts again. There are these quieter moments before we would use flash a lot, that would make sense to change out the battery … instead of risking it dying during a crucial moment. 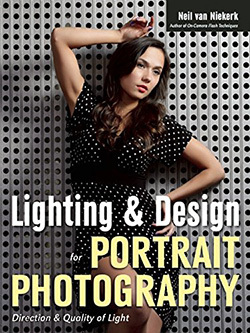 Thank you for producing such a wonderful review of the Profoto A1. 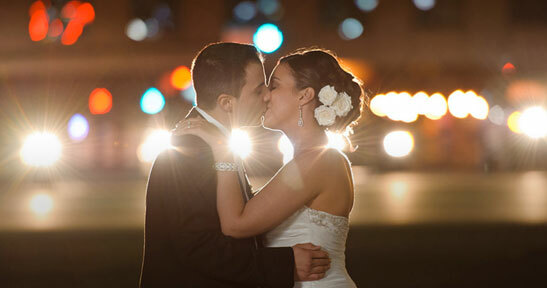 This review shows how powerful and versatile this new and small flash can be. I just bought my first Profoto A1 flash to use it with my Nikon cameras. This past weekend I did a portrait session using it as off-camera flash with the Profoto Air TTL remote. 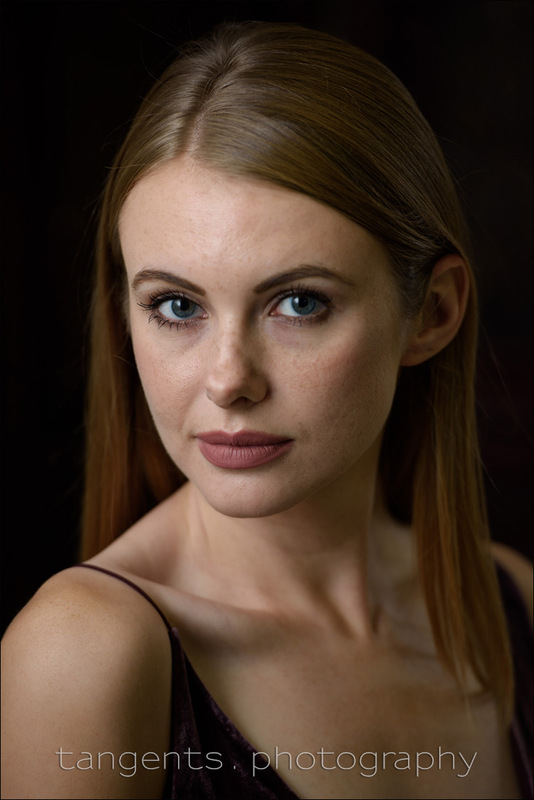 I would like to ask you a quick question regarding TTL calibration with the Profoto A1. I was shooting with the Profoto A1 set to TTL and for some reason my first shots were dark and the TTL was not getting the exposure right. I compared it to the SB-910 that I also tested using the Phottin Odin remote triggers and I got the right exposure on the first shot. I only was able to get a correct exposure on the Profoto A1 after I used my flash compensation button on the nikon D4s camera to raise one stop. Is this common? I have upgraded all camera, remote and Profoto A1 firmware to the latest version. The 1 stop under-exposure seems to be consistent with the Profoto A1, so I generally have my FEC (Flash Exposure Compensation) dialed up when I use the A1. It is just one of those quirks that I work around, even if not ideal. Also, I do find my Nikon SB-5000 flash gives me more consistent TTL flash exposures at high ISO settings (such as 3200 ISO, compared to the Profoto A1. Ich besitze seit ca 3 Monaten den Profoto A1, der, wenn er funktioniert, eine tolle Lichtqualität liefert. Bei verwendeter Firmware B5 hatt ich mit meiner Canon Eos 5 MK IV sehr viele Ausfälle zu verzeichnen. Die Einstellung in der Canon waren AUTO ISO, AI Servo, alle AF Punkte wegen Objektverfolgung ausgewählt und Synchronezeit zum Großteil bei Speedlight Einstellung im Setup der Kamera 1/60-1/200. In Kambotschia waren sichlich andere Lichtverhältnisse als in Österreich, aber das sollt keine Rolle spielen. Manches Mal konnt ich nicht einmal einen Meßblitz auslösen. auch so lörte er nicht aus. Verträgt der Blitz AI Servo und alle ausgewählten AF Punkte zur Objektverfolgung nicht ? Heute habe ich ein Firmwareupdate auf B9 gemacht. Kannst du mir einen Tip geben wie ich das Problem hinbekommen kann ?